Drive Medical bariatric sentra extra heavy-duty wheelchair has carbon steel frame with triple coated chrome for an attractive, chip-proof, maintainable finish. Bariatric sentra extra heavy-duty wheelchair comes with swing-away footrests or elevating legrests with tool-free adjustable length riggings. 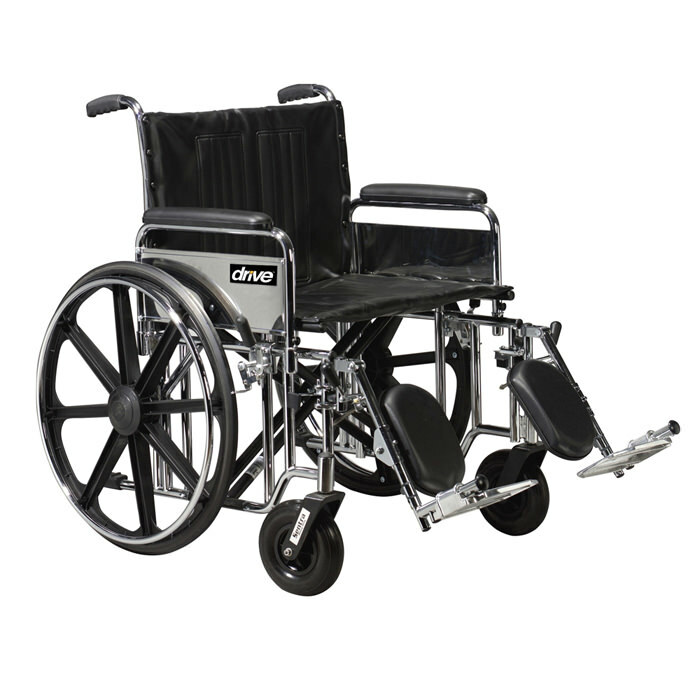 Sentra wheelchair comes with durable, heavy gauge reinforced naugahyde upholstery and reinforced side frame. Sentra manual wheelchair has caster journals, dual cross bars and reinforced steel gussets at all weight bearing points provides additional strength. 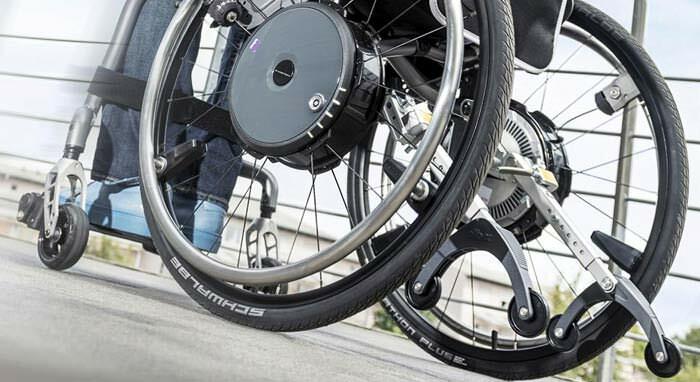 Sentra wheelchair has composite mag-style wheels with chrome hand rim which are lightweight and maintenance free. Sentra extra heavy duty wheelchair provides padded armrests, precision sealed wheel bearings in front and rear and standard carry pocket on back rest. Seat width 20" 22" 24"
Width (open) 29" 31" 32.5"
Width (closed) 13" 13" 13"
Seat to-floor height 17.5" - 19.5" 17.5" - 19.5" 17.5" - 19.5"
Back height 18" 18" 18"
Seat depth 18" 18" 18"
(with riggings) 42" 42" 42"
Product weight 54 lbs. 56 lbs. 66.25 lbs. Weight capacity 500 lbs. 500 lbs. 500 lbs.